The pomegranate has a story to tell us about the ignorance of our time. For the last ten years I have watched the biodiversity of pomegranates collapse dramatically. In garden centres in Portugal, only the Asseria variety is left. In Spain it is difficult to find anything other than Mollar (improved for eating with easily extracted arils) – and Early Final Tendral. All around the mediterranean we are losing old and carefully selected varieties, Agria de Albatera, Albar de Bianca, Pinon duro de Ojos, San Felipe de Bianca . . . almost all the white sour varieties which replace vinegar or lemon juice are now lost. Yet this is a marvelous fruit. First, the tree is easy to prune in any shape you can imagine: hedges of dwarf pomegranates, high hedges, clouds, geometric forms, topiaries. The fruit is recognized as having preventive effects on prostate and colon cancer, as it is a stronger antioxidant than tea or red wine, to be neuroprotective, anti inflammatory, as reducing cholesterol and type 2 diabetes. It is the panacea of all non communicable diseases. Read the article on Punica granatum by T. K. Lim « Edible Medicinal and Non-Medicinal Plants: Volume 5, Fruits » pg. 137 on googlebooks. You will run out and plant pomegranates in your garden right away. Decorative pomegranates chosen in the Far East for their flowers such as Haku-botan, Haku-taka, Ki-zakuro (red with white spots), Toryu-shibori (apricot pink) have become impossible to find . I'm lucky to have a micro collection from California. The guilty party is a pretty variety named ‘Wonderful’. Born at the beginning of the 20th century in California. ‘Wonderful’ alternates little, has very consistent fruit that is bright red inside and out, the seed is not too hard, the fruit ripens simultaneously. Attractive and ideal for the juice industry. There is a twofold cause for the damaging loss of pomegranate biodiversity. Firstly, we have kept only two uses: the juice industry and the consumption of fresh arils. 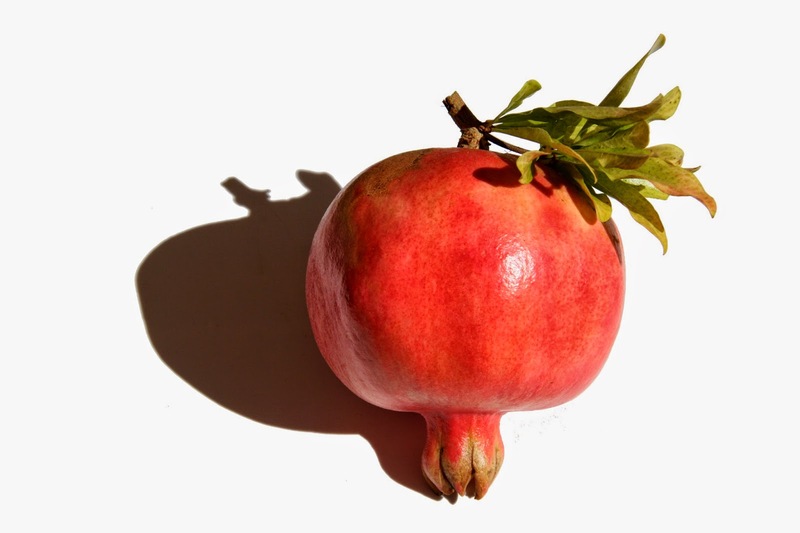 Lost are all the uses of sour pomegranate juice (like vinegar, molasses or as a basis for making the great sweet/sour sauce of oriental cuisine the Narsharab (Nar ou Anar = pomegarante and shabar = sirop, in Persian and Arabic). Also lost is the taste for sour pomegranates, fundamental in Iranian cuisine: ash-e anar that has delighted the Mesopotamians since 4000BC (a soup of yellow split peas, mint leaves and pomegranate ). Lost also, pomegranate wine and dried pomegranate seed powder which was used as a condiment. Secondly the pomegranate is native to a geographical zone that has become closed or inaccessible. For 10 years I've tried to get cuttings from Iran and Afghanistan (in antiquity Kabul was considered the best pomegranate orchard in the world). I always have a friendly look for my sweet pomegranate tree from Yemen that I planted 5 years ago and that would be impossible to find today. There are very few people collecting and preserving these rarities. The collection of the Algarve DRAP (Frutalg program) in Tavira gathered by Eng.º António Marreiros is an exemplary work. Time is short, Xyllela fastidiosa, the terrorist bacterium was identified on the pomegranate in Iran ... one day soon phytosanitary authorities will ban imports to Europe. Like our oldest domesticated plants : grape vines, fig trees, olive trees - pomegranates are reproduced by cuttings. Pomegranates from seed remain in an adolescent stage for a long time. If you work from cuttings in summer for example plant them the Chinese way, horizontal in the ground with just one bud sticking out. ‘Dona Ana’ has remarkable energy and hardly loses its leaves in winter (excellent rootstock). There are hundreds of varieties of pomegranates, depending on what they are used for and depending on the climate. This beautiful fruit and this easy to grow tree expresses 6000 years of horticultural expertise. We think of all those things when we have the wisdom to plant a pomegranate in our garden. Pépinère Baud http://www.fig-baud.com/grenadiers.html who has the dwarf varieties for hedges. Pépinère Filippi, the dry garden nursery of Olivier Filippi in south west France, lists the species and nine named varieties in their catalogue – consult www.jardin-sec.com and look up Punica granatum ‘Legrelliae’ for a small tree with gorgeous double apricot flowers with white edges.